Add quinoa, salt and 1-2/3 cups broth to a medium saucepan. Bring to a boil and then reduce heat to low, cover, and cook for 15 minutes, until the liquid is absorbed and the quinoa is cooked. 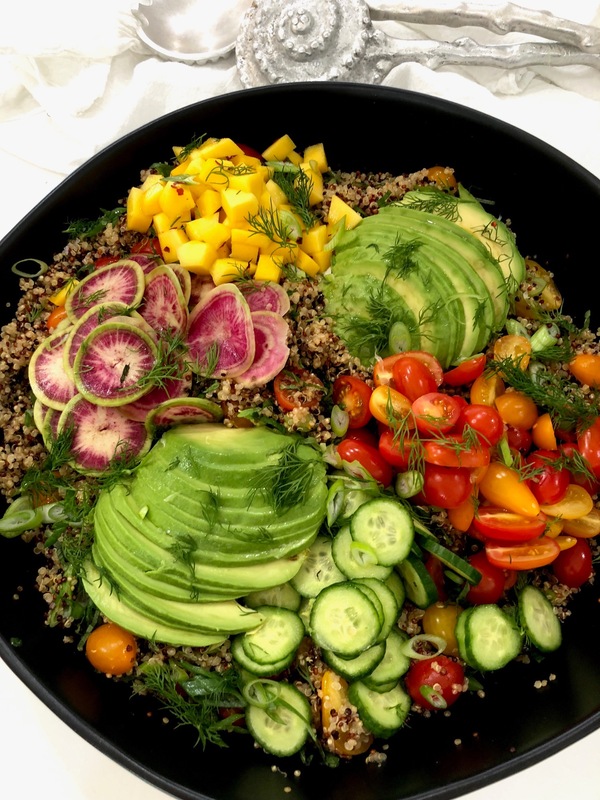 Transfer to a serving bowl and let cool in the refrigerator. In the meantime, combine lime juice, fish sauce, vegetable oil, sugar and crushed red pepper flakes in a medium bowl. 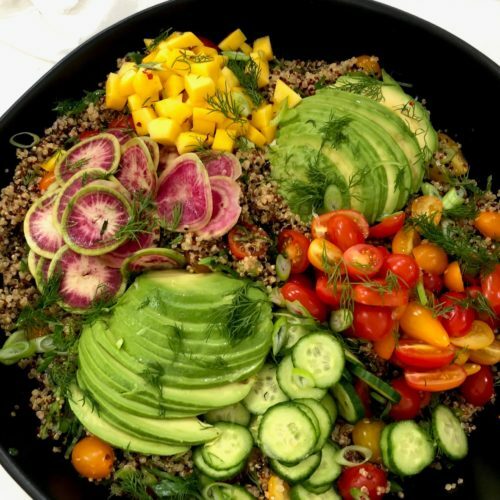 Once the quinoa is cool, add in or top with the cucumbers, mango, bell pepper, green onions, avocado, radish and fresh herbs. Drizzle in dressing and toss.